Drive Thru opens weekdays at 7:30 a.m.
Drive Thru Service, Member Service Department, and Loan Department are closed on Sunday. Take I-75 North to the Ooltewah exit (#11) and turn right on Lee Highway. At the first traffic light, turn right onto Little Debbie Parkway. When Little Debbie Parkway dead ends, turn left onto Apison Pike and continue through two traffic lights and follow the road around the bend until the four-way stop. Turn right at the four-way stop onto University Drive. 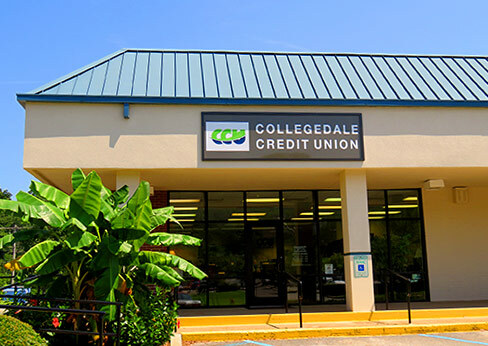 Go about a quarter of a mile and Collegedale Credit Union is on the left in Fleming Plaza, next to the US Post Office and Village Market.